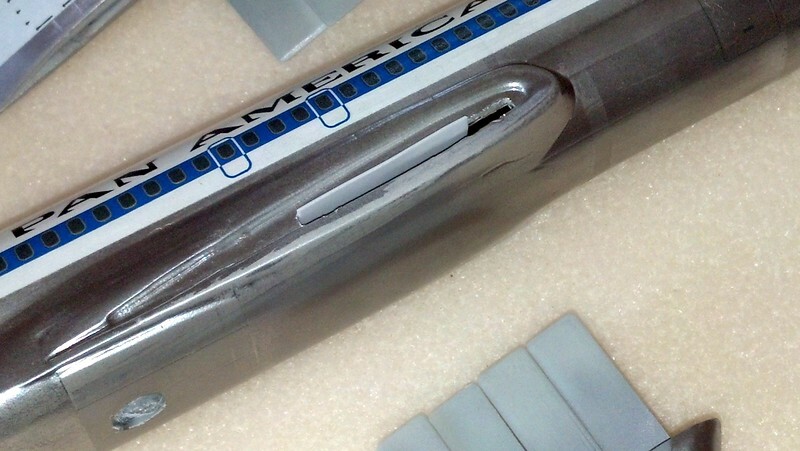 Boeing 707-321C, N450PA, Pan Am Jet Clipper "Borinquen" in 1/144 scale. From Minicraft kit #14502 (1999 tooling) with Two-Six Decals set #STS44137s). Paints are cheap rattlecan with Alclad II metallics. 140121 B707 - Even with interlocking wings, fit was floppy. Remedied by a strip of .020 styrene. Wings are now snug and removeable.